Bob's Glass and Screen Co.
At Bob’s Glass & Screen Co., our mission is to provide you with top quality glass and screen products in a timely and efficient manner. Our experience in commercial glazing has us at the top of the list for any storefront system your building requires. We can provide and install the doors and glazing system per your specifications. The hot item these days in the shower door business is the heavy glass frameless systems which employ 3/8" or 1/2" tempered glass with architecturally appealing hardware to match most fixtures and finishes. We can help from design to installation. We also furnish and install traditional framed or semi framed shower door and slider sytems and steam shower enclosures. For 30 years of continual service to our community, we have been a leader in the replacement and new construction window market. Our knowledge of fenestration systems puts us at the top of our field. We are a full service glass and screen shop with mobile or walk in service. With our knowledge and experience we are able to fulfill all of your commercial or residential glazing and screening needs. We strive to make all your orders as painless as possible to your schedule and wallet. 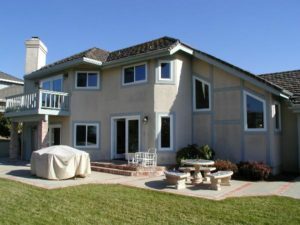 Bob’s Glass & Screen Co., was established January 20, 1988, and has continually serviced all of San Diego County, providing top-quality customer service and products while achieving and maintaining customer satisfaction. As a BBB member, and 2 time past president of the San Diego County Glass Association, I have tried to keep our company at the cutting edge of our industry, as is reflected by the plethora of satisfied customers. Please contact Bob's Glass and Screen Co. directly to setup your visit.